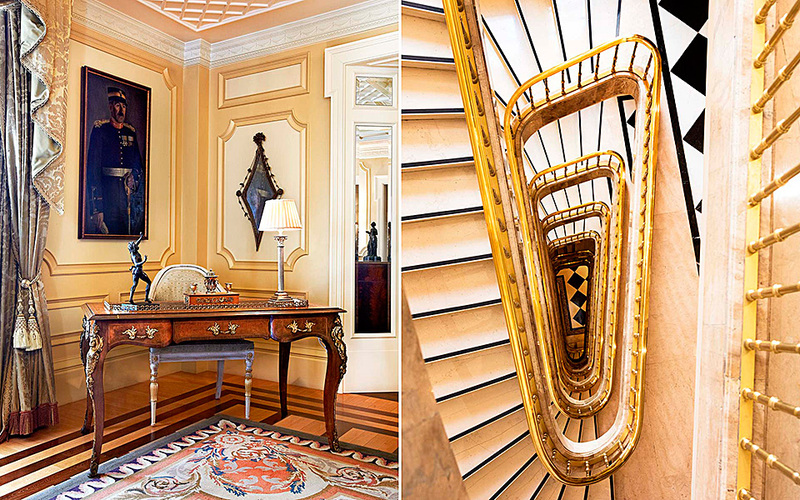 More than a five-star hotel, Grande Bretagne is one of the city's historic landmarks. Syntagma Square. You can’t get more central! Heads of state, politicians, oligarchs, business magnates and celebrities have been rubbing shoulders at the landmark Hotel Grande Bretagne, Syntagma Square’s second most imposing edifice after the Parliament building, since it first opened in 1874. “You will have read about the plot to blow up HQ the Hotel Grande Bretagne. I do not think it was for my benefit. Still, a ton of dynamite was put in sewers by extremely skilled hands,” wrote Winston Churchill in a telegram to his wife about his close brush with death in Athens on Christmas Day 1944. Thankfully for Churchill the dynamite, intended for the British Command, was never detonated. 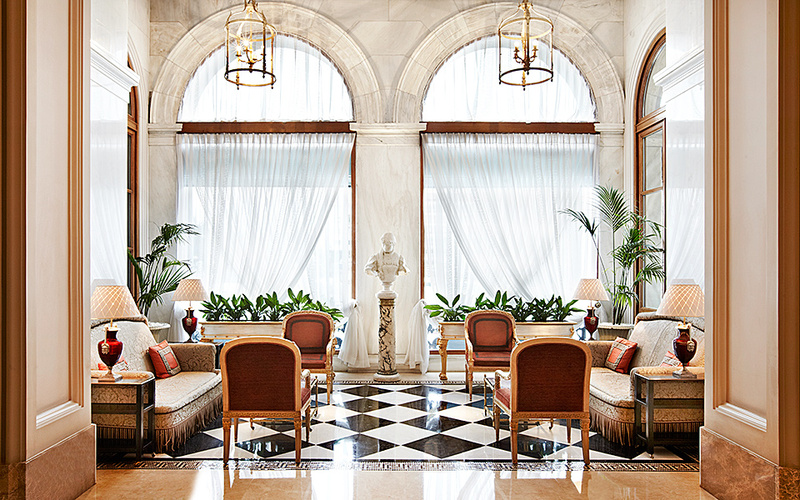 An extensive renovation ahead of the 2004 Olympic Games helped this ageless “grande dame” of Athenian hospitality enter the 21st century with pride, achieving the perfect balance between classic luxury and modern amenities. Venue of choice for the parties and weddings of Athenian high society; premier accommodation choice for discerning visitors to the city. A truly world-class hotel, where attention is paid to the smallest detail, from the subtle scent that permeates the lobby to the exquisite porcelain used for the afternoon tea ritual in the Winter Garden lounge. 320 rooms and suites with lush interiors paying homage to celebrated Greek culture, with intricate moldings and classic décor; 1,100 square meters of refined function space for business meetings, events and weddings; an award-winning spa, offering everything from a simple neck and shoulders massage to signature treatments such as “GB anti-ageing body revitalization by Valmont”, “Nourishing yoghurt, honey and sugar wrap anti-ageing body revitalization by Valmont” and “ESPA chakra balancing with hot stones”; a fitness studio, open 24/7; indoor and outdoor pools. The hotel has been completely rennovated without losing any of its grandeur. GB Roof Garden restaurant, awarded by Wine Spectator magazine three years in a row, serves new Mediterranean cuisine and offers breathtaking views of the Acropolis, Lycabettus Hill and the Parliament building. It also has two bars, of which the open-air Bar 8 is a top choice for a cocktail or glass of wine during the summer. The Winter Garden lounge offers the city’s most elegant European breakfast, light lunch, high tea or dinner accompanied by live piano music. The Cellar, boasting an extensive collection of some 3,000 bottles, is an enophile’s dream come true. At GB Pool Bar & Grill you can relax under the Athenian sun while enjoying a refreshment, signature dish or cocktail. Last but not least, the radiant Alexander’s bar with its trademark 18th century tapestry featuring Alexander the Great, is the best place to linger over a classic cocktail, a refined brandy, or an exquisite cognac, while the adjacent Alexander’s Cigar Lounge offers the biggest Cuban selection in the city.